Ahhh, Miss Sporty. What a throwback.  Anyone else remember Miss Sporty makeup? It brings me right back to my teenage years when my makeup ‘collection’ was full to the brim of Miss Sporty and similar brands. 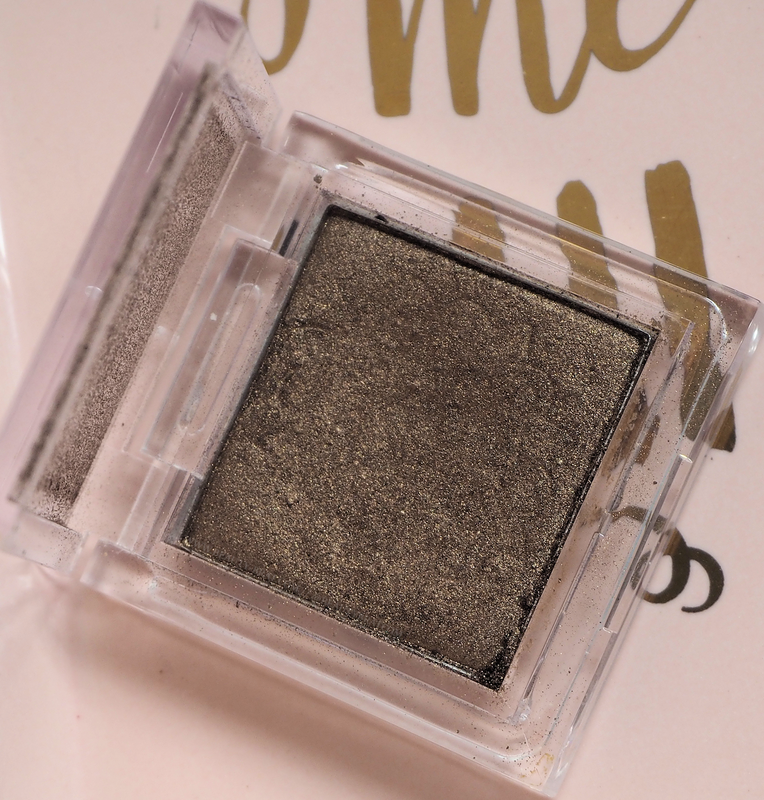 Although I haven’t used many (read: most) of their products in a number of years, one item I do use and love is their individual eyeshadow in the shade ‘112 Amber’. It is a gorgeous shimmering warm bronze that packs a punch in the pigment department, especially for something that costs so little. It reminds me a lot of ColourPop Cosmetics ‘Nillionaire’, but it is slightly darker, not as wet looking and without the glitter. It’s slightly darker and warmer than Nillionaire, but close in colour. I’ve used this a number of times since I picked it up and so far, I’m quite enjoying it (and the nostalgia that comes with it ). I think this was 70c in Dealz and when I saw it, I couldn’t resist it. It is quite a ‘soft’ powder, it feels delicate and almost fragile. There is quite a bit of fallout from it, but nothing that a quick sweep of a brush won’t sort out. It doesn’t ‘streak’ when brushing away and when blending on the eye, it doesn’t blend away to nothing either. For a product that was so cheap it’s actually not the worst quality. I mean, it’s not high-end quality by any means, it’s not going to be, but it’s pretty decent. Have you ever tried Miss Sporty makeup? What cosmetic brands did you use as a teen? I’d love to know.